Getting up early this morning, I was determined to visit another coffee place this morning. Although, I almost wimped out, as it was only 4 degrees outside. Located on Carlisle st, it is in good company. Batch Espresso comes to mind. I ordered a toasted Cheese and tomato sandwich and a latte. You’ll be surprised, but this represented unbelievable value. It was only $6.00 for the 2, with an offering of a free Age ! 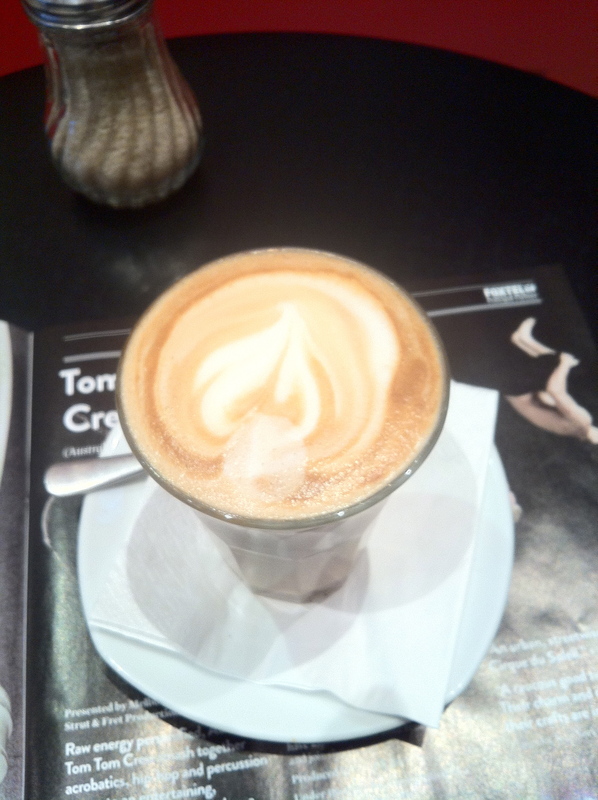 It was a good coffee, not so vibrant on the tongue, however, there was a tingle so to speak. It was made at the right temperature, smooth with good flavour. Minimal aftertaste which made the coffee good.